While Raven and Wick try to guide Bellamy in neutralizing Mount Weather’s acid fog, tensions rise between Clarke and Lexa when Octavia learns their shared secret. Elsewhere, Jaha’s expedition discovers that a minefield stands between them and the legendary City of Lights. SOME LIKE IT HOT - While preparing for battle, Clarke (Eliza Taylor) and Lexa (guest star Alycia Debnam Carey) have a heated discussion. 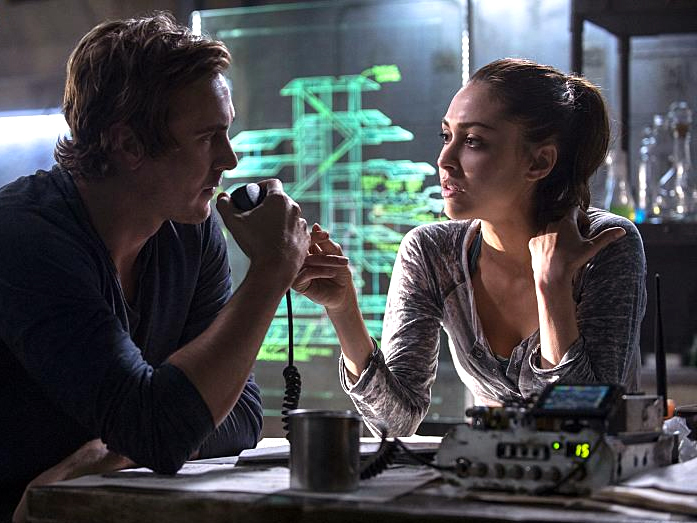 Desperate for help, Raven (Lindsey Morgan) has Wick (guest star Steve Talley) summoned to the engineering room. 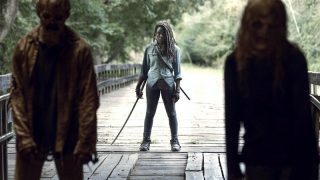 Jaha (Isaiah Washington) and Murphy (guest star Richard Harmon) encounter a perilous roadblock. Meanwhile, at Mount Weather, Bellamy (Bob Morley) is in a race against time. Marie Avgeropoulos also stars. Uta Briesewitz directed the episode written by Kim Shumway (#214).